Hey Holly Golightly: If you want to be healthier, slimmer and hotter you need to get educated about food labels! If you want to be healthier, slimmer and hotter you need to get educated about food labels! It would be great if food that was bad for us just wasn't sold. But let's deal with reality. Not all products are created equal - there are many ways to manufacture products and there are many ingredients used to make up any one of the products on your supermarket shelf. But the good news is there are also some pretty strict rules about the information we must be provided with. If you understand this, where to find it, and how to interpret it, you have a pretty good shot of consuming food rich in nutrients and free of all the additives. Education! Education! Education! There is a government regulation that states that all foods sold in this country must state the ingredients used. Most ingredients list are pretty easy to find and are helpfully titled, ‘ingredients.’ The ingredients list must be in order of volume. So basically if gram for gram there is more flour it will appear first then in descending order the rest of ingredients will follow. Manufacturers aren’t silly, they have heard about you and all your dieting health-conscious friends and they know that being creative with this ingredients list might be the difference between you adding their product to your shopping trolley or not. So they got out their thesaurus and came up with alternative names for ingredients that might not send off alarm bells in your head. Sugar can be found under the following list of names: fructose, lactose, glucose, xylitol, malt/malt extract, dextrose, sorbitol, corn starch, corn syrup surcrose, mannose, mannitol, modified carbohydrate, maltose, raw sugar, brown sugar, golden syrup, honey, white sugar and rice syrup. Those zany kids writing up the ingredients lists like to be creative and it makes it tough for us less sugar-savvy dieters to know what we are consuming. But make no mistakes these are all sugars and a sugar by any other name will taste as sweet (and have the same negative impact on your poor body). 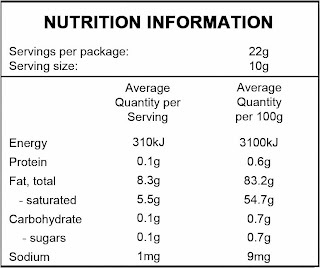 The nutritional panel is also a must on packaging. 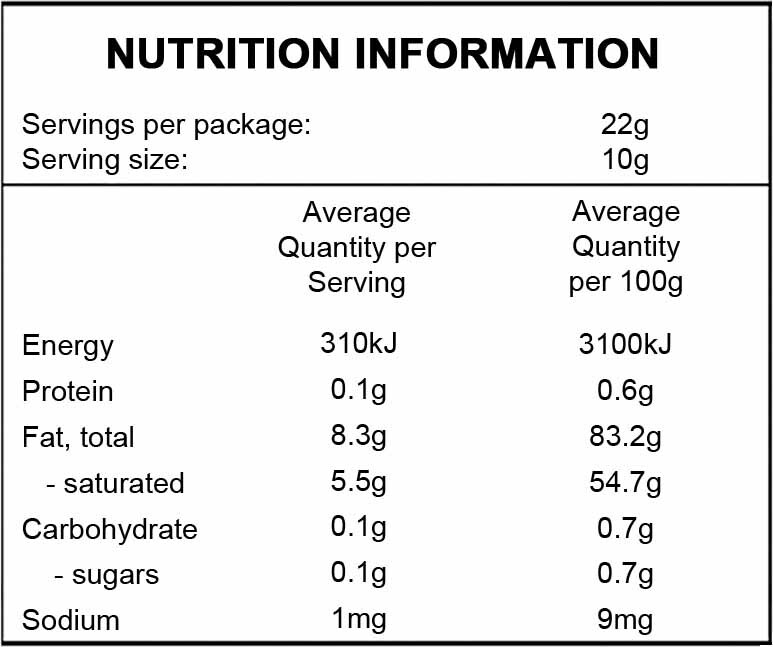 Nutritional panels list energy per serving and usually per 100g or mls. When comparing one product to another compare the 100g panel. Serving size varies from product to product so you need to watch that. A nutritional panel will provide information on energy in the form of calories or kilojoules, protein, fat, carbohydrates and sodium. Carbohydrates will be broken down further to indicate how much of the carbohydrates are derived from sugar. Just like ingredients lists manufacturers will present the information in a way that positively presents their product as well as they can under the regulations. Fair play, but if we know what we are looking for there is no fooling us. For more on standards and guides to packaging go here. What does 50kgs look like?